The government knows that if it is going to motivate more Kenyans to install solar-energy systems in their homes and businesses, it not only needs to increase the number of trained technicians but also make it harder for untrained installers to undercut them. According to Pavel Oimeke, the ERC’s director for renewable energy, by mid-2015 the country should have around 580 certified technicians, including those trained by the government and others who have gotten qualified on their own. That number should grow to about 1,000 by 2016, he said. When he retired from his publishing job in Nairobi six years ago, Joseph Ojuang moved to a house he had built in Siaya, western Kenya. The home was more than 30 kilometers away from the nearest electrical grid, so Ojuang’s only choice for power was to have a solar photovoltaic (PV) system installed. In a country where only 23 per cent of homes are connected to the electricity grid, according to a 2010 World Bank report, solar energy is increasingly seen as an affordable and reliable source of power. The government is so confident in the benefits of solar that it has introduced incentives to encourage uptake, including removing duty on solar panels. 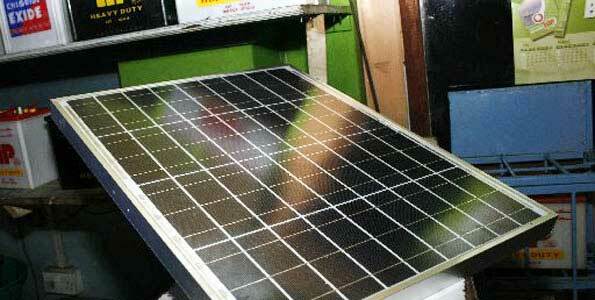 But the growth in solar power use in Kenya has been stunted by a lack of skilled labor. There are only 120 technicians in the country who are licensed to install solar electrical systems – not nearly enough to cope with the business available. To help feed Kenya’s need for qualified solar-energy technicians, the government has launched a training program that aims to create jobs and give clean energy a boost. At the same time, it is working to weed out those who only want to make a quick buck out of the country’s fledgling move to renewable, experts say. Run in partnership with the UK’s Department for International Development (DFID), the solar training programme will offer 100 trainees grants of up to $100 each to help cover the cost of a course at one of seven selected government-owned technical schools across the country. Beneficiaries will have two weeks of intensive training, after which they will have to apply for licensing from the Energy Regulatory Commission (ERC). “Interest from potential candidates has been huge,” said Cliff Owiti, head of the Kenya Renewable Association, an independent non-profit also partnering in the programme. According to Oimeke, the potential for solar energy in Kenya remains relatively untapped, with the current installed capacity exploiting only 1 percent of the power that the country could generate. But the government knows that if it is going to motivate more Kenyans to install solar-energy systems in their homes and businesses, it not only needs to increase the number of trained technicians but also make it harder for untrained installers to undercut them. “We had a big problem with untrained people undertaking works for clients. But over the past two years we have moved in strongly to regulate this growing field of renewable energy,” Oimeke said.